Oh, and get revenge for 2001! Fack the hoodie! Fack Brady! Fack Edelman! Fack Gronk! Most of all, Fack those mighty mite waterbug RBs for the Pats, especially Michel! Key is to NOT let Brady have the ball for twice as long as the Rams have it. That's what cost the Chiefs ultimately. Their D had to be totally spent by OT. Greg the Leg! That is all. Gurley will have no more than 10 carries. McVay is enamored with Anderson for some reason. The running game will produce jack. Goff will throw two picks. Brady will be Brady, a machine. Pats are thin so this should be a cake walk. Rams defense has stepped it up in the post-season. They've held two opponents to a total of only 598 yards, including only 98 total rushing yards (just over 2 yards/carry) allowed in 2 games. Consider that Elliott, Kamara, and Ingram are all solid RBs. The Pats' mini-me RBs will present a different challenge though. Hard enough to tackle them, but can't even see them, they are so short and shifty. I am not sold on the Rams' secondary. That is where the game will turn, can they cover 1 on 1 well enough to make Brady eat the ball? yep, i think this will be the key matchup for this game. Rams have announced they're wearing their gold & blue throwbacks for the game. i like this idea, especially since both teams have darker blue as their most dominant color. Wouldn't the real throwback be blue on white (pre-gold)? could be. i'll bring it up at next week's meeting with management. Brady's shipment of footballs has arrived. Going with the winning colors. KC did carve up the Pats defense in the 2nd half. They can be run on too. 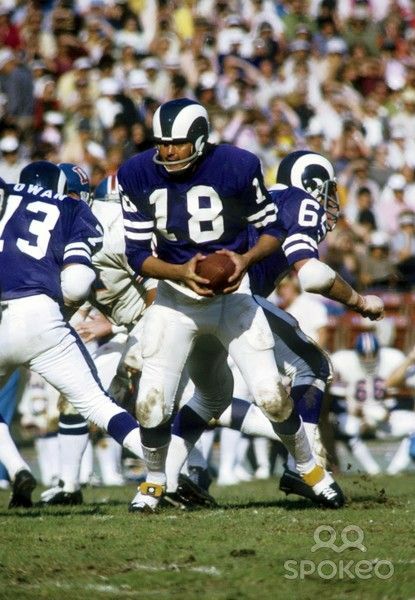 The Rams actually wore those old blue unis only on the road and only when the home team wore white unis normally. They always wore the old white unis at home. Both were the case from the time I started following them in 1966 through 1972. Then in 1973, they went to the different shade of blue (with yellow numbering and sleeves trim) for home games. 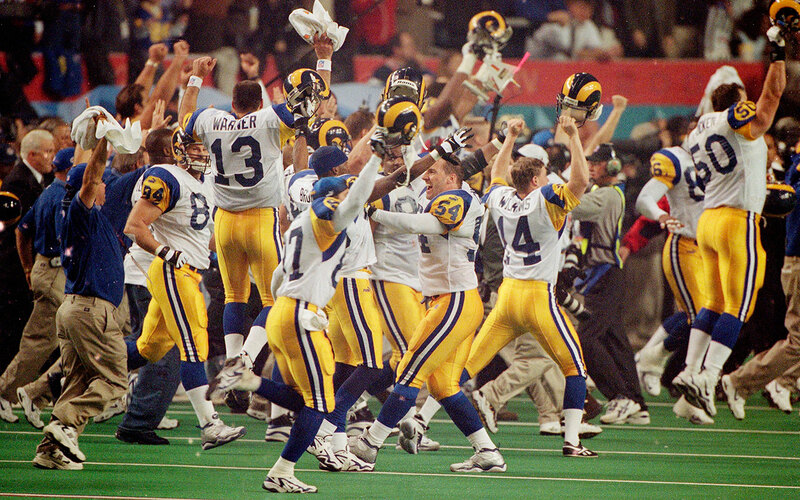 i think those are my favorite rams uniforms. i'd love to see them return to these when they break out the new ones in 2020. And I hope they keep it as royal blue, not navy. There are two franchises in professional sports that I straight up hate: The Yankees and the Patriots. I dislike other teams, but no others anywhere close to that degree.